Ensure that, as options are being considered to meet budget shortfalls, such as excess tax credits, deductions and rebates, higher education is the first priority for funding. 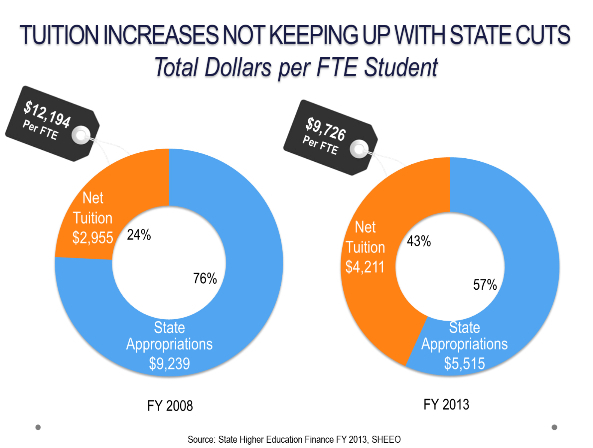 Maintain the FY 2014-2015 level of state general fund support for all public institutions of higher education and replenish the WISE Fund with state general fund dollars. Funding needed to meet this goal is at least $1 billion. Continue last year’s efforts to ensure increased tuition and fee revenues are retained at each institution for reinvestment in academic and student support. Provide greater authority and flexibility in setting tuition and fee rates and retaining those revenues for educational purposes. Provide greater short-term flexibility regarding admission eligibility and GRAD Act performance requirements at Historically Black Colleges and Universities (HBCUs). Provide GRAD Act II operational autonomies to all public colleges and universities with savings from increased efficiencies retained at each institution for reinvestment in academic and student support. As my colleagues and I state in the letter, the economic stability of Louisiana hinges on our collective ability to find both a short-term solution in the budget for the next year and a long-term solution to sustain and increase investments in Louisiana’s higher education system. Tomorrow, the Governor’s Executive Budget will be presented to the Joint Legislative Committee on the Budget (JLCB). At that time, we will learn the true starting point in our collective efforts with legislative leaders and the administration to secure funding for higher education. The meeting, which begins at 9:00 a.m., will be webcast live at www.legis.la.gov. We want each employee, student, parent, graduate, business leader, community partner, and concerned citizen to be engaged and informed as we move through the process of securing the much-needed resources for your universities. WE CANNOT LOSE ANY MORE EDUCATIONAL CAPITAL! 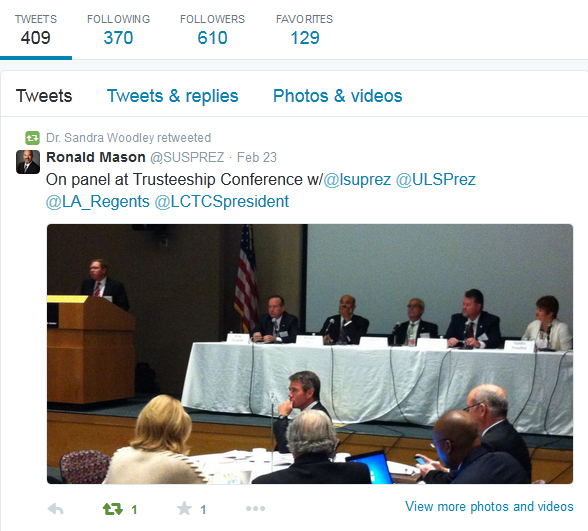 We created a special page on our website, www.ulsystem.edu/budget, as a hub for information, and beginning Friday, Mar. 6, 2015, we will hold weekly briefings to share the latest updates. Get the latest information on higher education’s budget from University of Louisiana System President Sandra Woodley by signing up for weekly webinars. NEXT BRIEFING: Friday, March 6, 2015 at 11:30 a.m.